Community associations are subject to state laws that control how associations are developed, governed and managed. This state-based statutory framework has proven successful because it is predicated on the principle of local control over land-use and property decisions. CAI supports effective regulation that ensures community association housing is developed, maintained, governed and managed with sound public policy objectives and standards that protect homeowners, volunteer board members management and the community association. While the community association housing model has a state statutory framework, there are federal issues impacting community associations. Therefore, we’ve identified the following as 2019 priorities. 1. Housing Policy: CAI supports actions to ensure responsible access to mortgage credit is available to creditworthy community association homeowners and the cost of mortgage credit for community association homeowners is reasonably related to borrower credit risk and community association operational and financial risk. 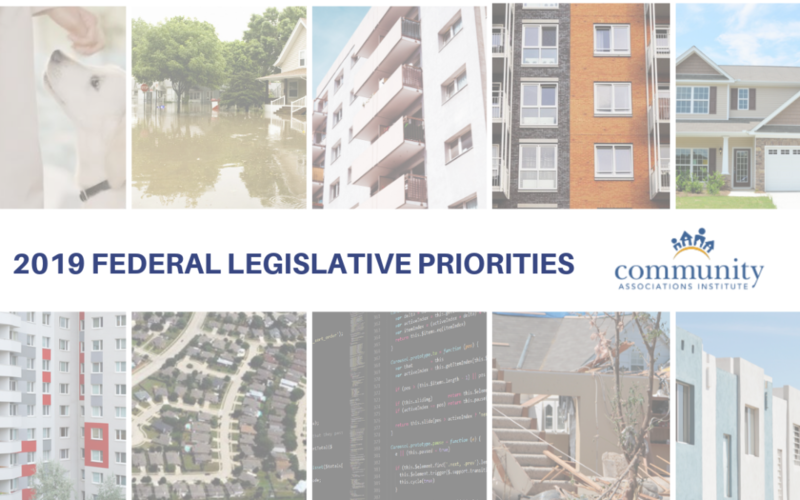 CAI supports existing federal policy providing a limited priority for community associations pursuant to state law and will support legislation and administrative actions that limit federal pre-emption of state association lien priority statutes. CAI supports responsible growth of the FHA condominium mortgage insurance program and will advocate for administrative reform that improves creditworthy condominium homeowner and consumer access to FHA-insured mortgage credit. CAI supports the expansion of affordable homeownership for creditworthy consumers and the role of the community association housing model in resolving the housing affordability crisis. 2. 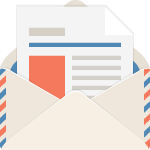 Fair Housing Act and Assistance Animals: CAI supports legislative and regulatory action to clarify housing provider reasonable accommodation obligations concerning assistance animals. Disaster Response and Recovery: CAI will advocate for policy changes to qualify municipal and state government disaster debris removal activities on community association roads and waterways for reimbursement under the Federal Emergency Management Agency’s (FEMA) Public Assistance Program. Federal Flood Insurance Reform: CAI supports reforms to improve the National Flood Insurance Program’s (NFIP’s) financial stability, accuracy of federal flood maps, increase flood mitigation resources and increase competition in the flood insurance marketplace. 4. Community Values: CAI strongly supports self-determination of community associations through self-governance by elected community leaders who exercise authority on behalf of all homeowners pursuant to state law and their community’s covenants. CAI opposes federal legislative or administrative actions that pre-empt lawful association board authorities. Data Security and Breach Notification: CAI will monitor the development of federal standards for custodians of personally identifiable electronic records maintained by participants in the community association housing model. Debt Collection: CAI supports revisions to the Fair Debt Collections Practices Act (FDCPA) that protect debtors from abusive practices and ensure due process while preserving the rights of private property owners to pursue delinquencies. EXCELLENT WORK and DOCUMENT. I will insure the info gets to my Chapter and LAC. All LACs should brief this material to their chapters and insure their federal legislators are informed. Recommmend this and the state priorities as a handout at the Florida Conference. Hope to see you there.